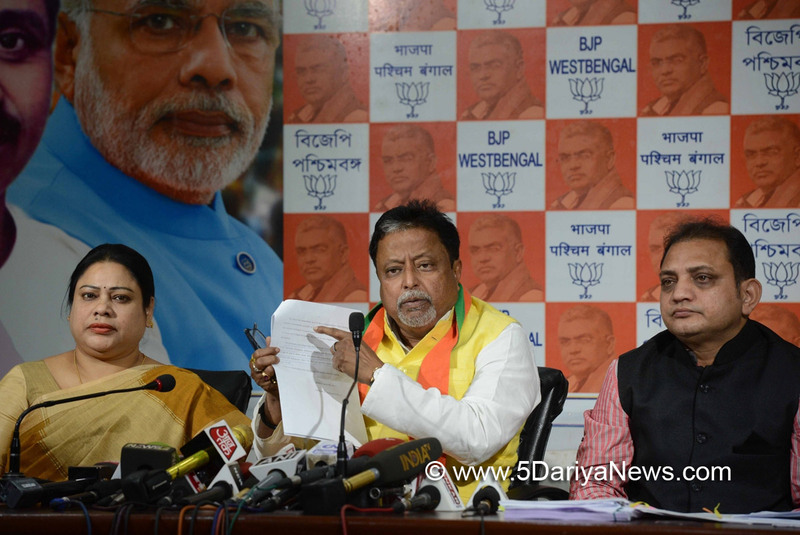 Claiming there is no democracy in Bengal under the Trinamool Congress, BJP leader Mukul Roy on Thursday alleged that 'police raj' is going on in the state where several youth have been "falsely implicated" in narcotics cases for opposing the ruling party. "Thousands of youths have been arrested in false charges in Bengal and given narcotic cases because they were not with Chief Minister Mamata Banerjee's party. "The only job of the police here is to arrest the activists of BJP. A police raj is going on in Bengal," Roy said. "I challenge the Chief Minister to take appropriate action against the officers concerned if they are found guilty of charging people with false cases. And if the arrested people are found involved in narcotic cases, I will quit politics," he claimed.